Wordpress is your simple and easy way to set up a blog with minimal programming requirements. Wordpress gives you a plethora of themes‚ theme resources‚ and the ability to use images‚ and various blog designs and layouts. 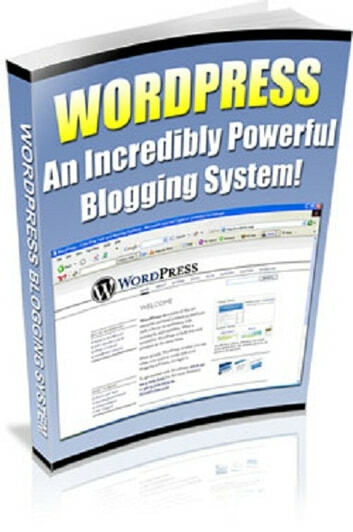 Wordpress and high-end blogging tools like it can simplify the arduous process of setting up a blog or blogging system. Wordpress is VERY easy. Most of us use Wordpress for one simple reason. We use Wordpress to make money. WordPress blogs get better search rankings than other sites. We will explore that in more detail later‚ but for now just know that there are some search engine advantages to using Wordpress tools. In some ways this tool is only good for those who understand the importance and advantages of blogging. Blogging is a form of website promotion and information sharing that can have very strong business implications. to manage and easier to render in standards-compliant browsers. Non-compliant browsers are made compliant with only a few changes. Wordpress websites also have some very positive features like themes‚ noncompiling changes to the website and the ability to utilize plugins. The most positive factor in the Wordpress utility is that you do not need to know php. 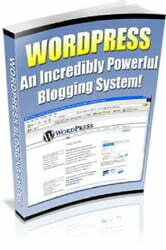 With many blogging systems you often need to know how to program. 1) You dont have to know php. 2) You dont have to know how to program at all. 3) You dont need to use the Wordpress hosting service. Although this is offered‚ it is not necessary. 6) Being built to standards increases Wordpresss longevity and future internet adoption.